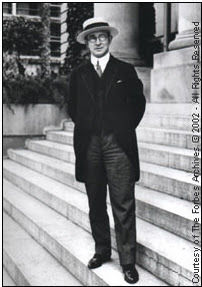 Business Magazine Forbes was started by Bertie Charles Forbes in 1917 . Forbes started his own magazine “devoted to doers and doings” in 1917. Originally, he wanted to call the publication Doers and Doings, but Walter Drey, the general manager of the Magazine of Wall Street, convinced his new business partner to use his last name because it was well-known with the investment community. In the end, the phrase was incorporated into the masthead: Forbes: Devoted to Doers and Doings. The first cover story was a competition to find the best employer in America. Forbes had success earlier in the year with a book called Men who are making America , a collection of short biographies about businessmen, and its success allowed him to start the magazine. In 1926, Forbes followed it up with a book titled Automotive giants of America . The most notable winners usually encountered heartbreaking obstacles before they triumphed. They won because they refused to become discouraged by their defeats. Thx Varun look fwd for u r book all da best!!! I guess u need to have passion for quizzing thats most imp. oh... ok..and ya, someone already bought ur book on ebay... hw can i get it also??? 2- go to www.ebay.in search for "business quiz" or "business quiz Books" or "coeus buisness quiz book"....you can see my listing.